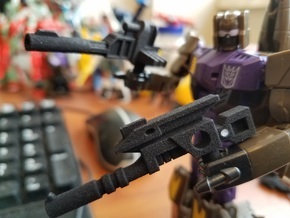 A set of small accessories based on the weapons included with Transformers Figure Subscription Service Barricade, for use with figures that hold 3mm handles (primarily intended for use with Legion-class Transformers). 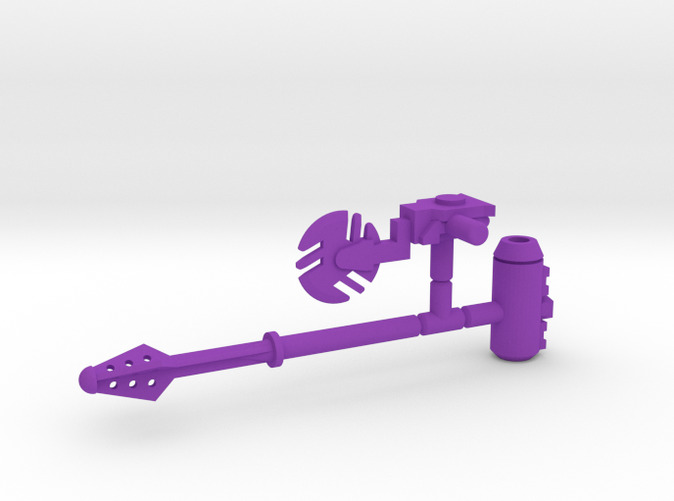 Includes a missile launcher (missile does not actually launch, per se, but is removable and can be hand-held) and a saw weapon. 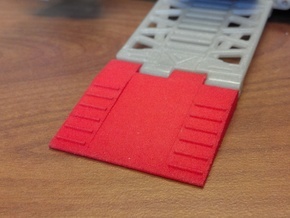 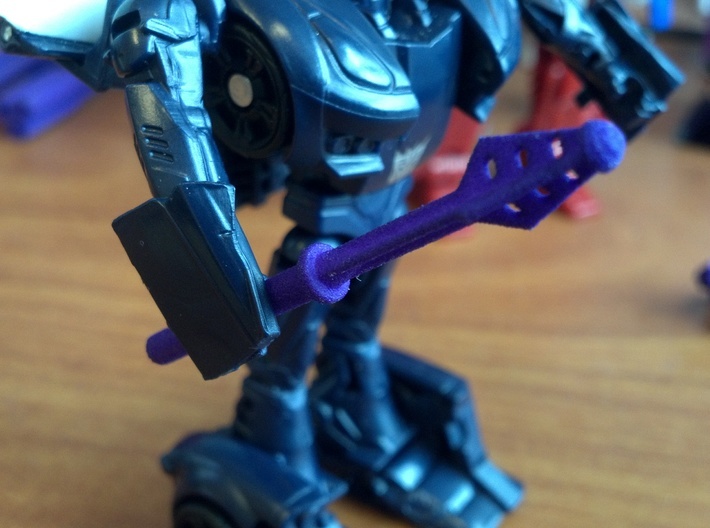 Note that normally-minor variations in the 3D printing process can make a big difference in part fit at this scale. 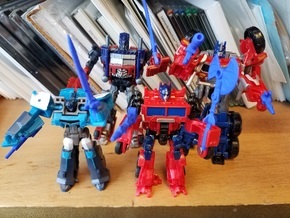 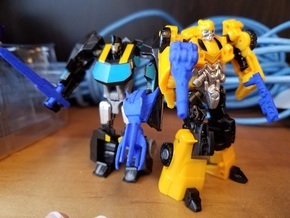 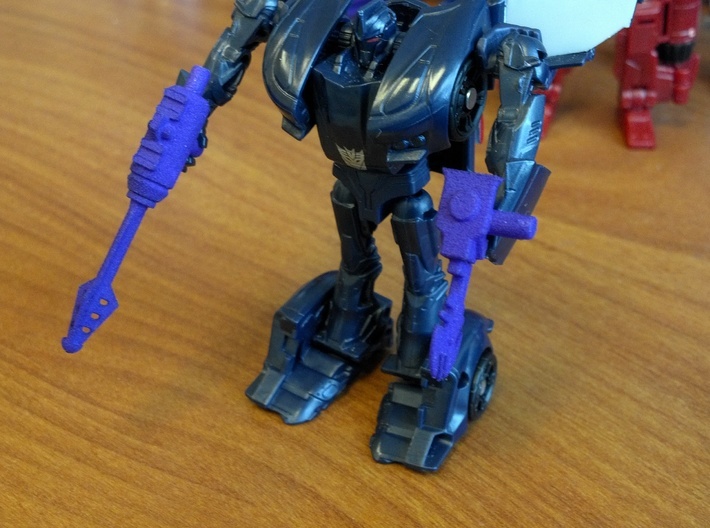 You may have difficulty getting some figures to hold these accessories as a result, particularly ones like RID Drift and Sideswipe whose clips are barely more than half circles.